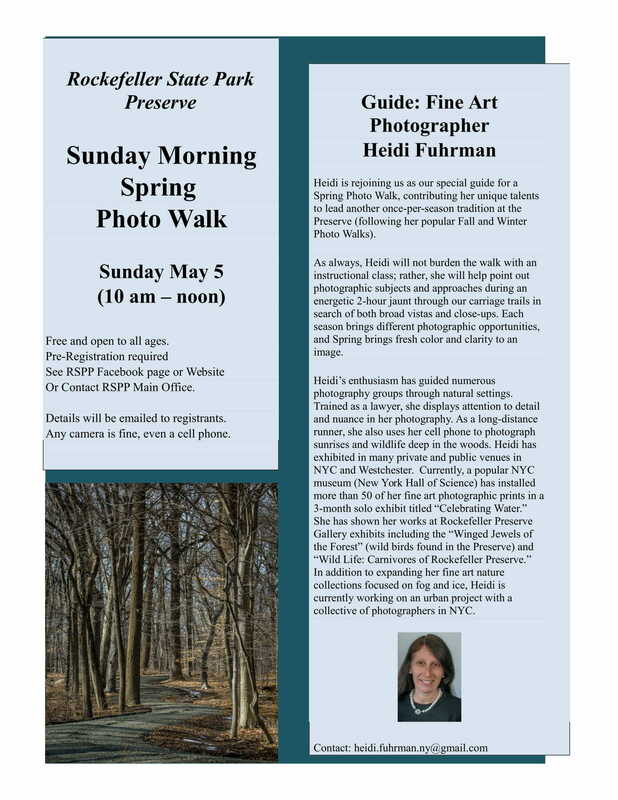 Heidi Fuhrman will be leading a Spring Photo Walk at the Rockwood Hall section of Rockefeller State Park Preserve on Sunday May 5th from 10am-12pm. Club members are encouraged to register early, as historically the walks have filled quickly. The Preserve's new Manager and other park staff will be in attendance.